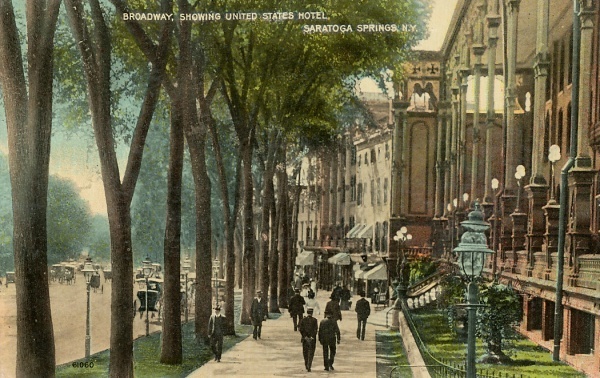 The residents and business owners of Saratoga Springs, New York, treasure their downtown. 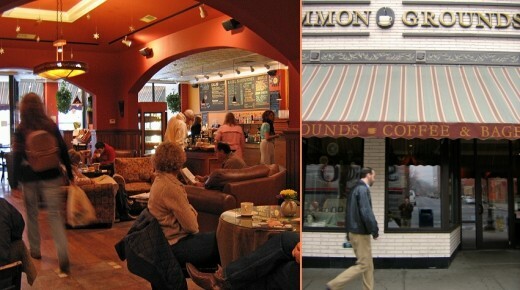 With its wide sidewalks, Broadway is lined with stores, restaurants, banks, historic hotels, and a wonderful park. Along Broadway in downtown Saratoga Springs, New York. Old historic hotels can still be found on Broadway. 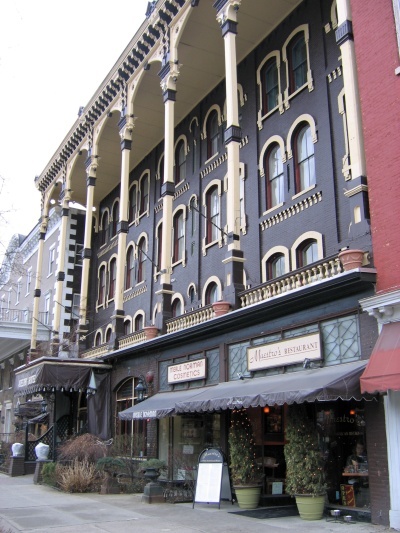 During meetings with Saratoga planners, one common refrain I heard was that downtown was the city's "economic engine" and the top priority for local planning and development efforts. One of the focal points is to increase the amount of housing downtown. Interestingly, according to Planning Commission Chair Clifford Van Wagner, as much as half of the new downtown housing is for second homes (not altogether surprising given Saratoga's long history as a destination for horse racing enthusiasts, and its many other attractions). Van Wagner views this as a positive, noting that the City benefits from tax revenues and spending from part-time residents, without much in the way of additional demands on schools and other municipal services. 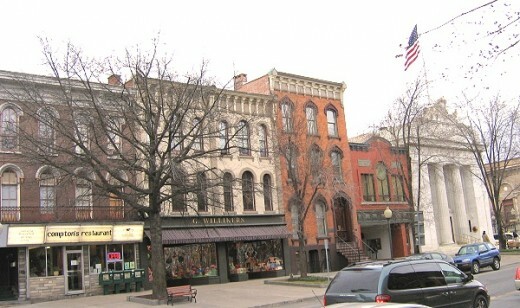 Much of the new housing is being built just a block off Broadway, Saratoga's historic main downtown thoroughfare. See photos above & immediately below the postcard, taken on Broadway; in fact the old postcard image is not totally out of character with Broadway today. 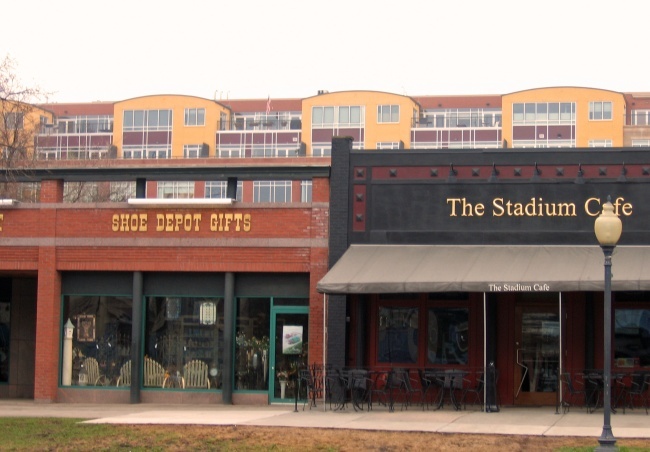 In some ways, what is happening in Saratoga reminded me of the Country Club Plaza district in Kansas City, where famous developer J.C. Nichols built a substantial amount of housing close by the central retail core (see my trip report, Country Club Plaza, July 17, 2007). Retail lines Broadway in downtown Saratoga Springs, with housing just a block behind. While we discussed a number of issues related to Saratoga's downtown, I want to highlight two ways in which Saratoga Springs seems to have taken a different approach to downtown development. 1. Downtown Parking. As part of its new "Transect" zoning, the City has eliminated parking requirements for downtown development. That's right, developers don't need to put in any parking. The aim is to make investing in development downtown more attractive by reducing the cost of building on-site parking, while also making for a more walkable environment (downtown is very compact). Van Wagner indicated that the business community has supported this zoning change. He added that business owners are a strong constituency, with the Chamber of Commerce having some 3,000 members, a remarkably large number for a city of just 30,000. While the parking requirement has been eliminated from the zoning ordinance, Community Development Director Brad Birge noted that developers of new housing are still building parking. It's just that the amount is based on what they feel they need to market the project, not on a city requirement. 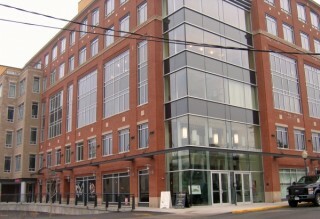 Retail is required on the ground floor of downtown buildings. 2. 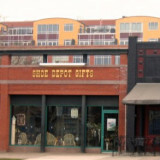 Ground Floor Commercial. 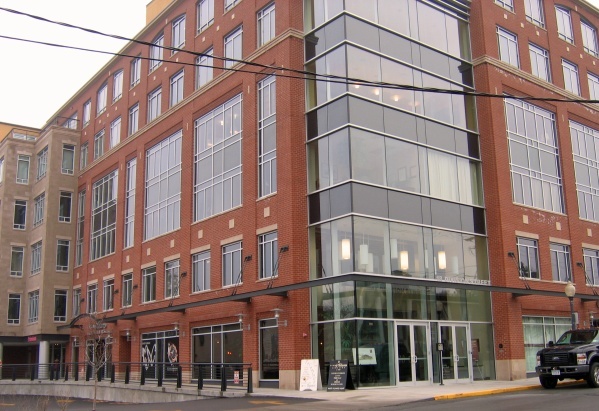 While the City has taken a market-oriented approach to downtown parking, it's gone the other way in requiring that the first floor of new downtown developments be set aside for commercial use (much of it retail). 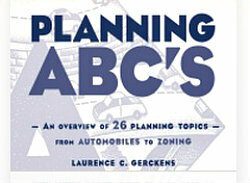 As Birge explained, the impetus for this also lies in the desire to create a walkable, pedestrian-oriented environment. Having commercial uses, especially retail, on the street level of all new downtown buildings is one important way of achieving this. Not everything is rosy downtown. While some affordable housing has been built downtown, efforts have encountered difficulties, and there are no inclusionary zoning requirements. As Planning Commission Chair Van Wagner also noted, the "high cost of land in Saratoga takes affordability out of the question." This is compounded by the fact that a lot of housing is leased out during "the season," as it generates very high rents. As with any city, there are areas of local controversy in Saratoga when it comes to land use and development issues (for example, a storm is brewing over the design of a major planned addition to the downtown convention and conference center). But despite this, everyone I met with agreed that there's a strong consensus that downtown needs to continue to be the economic engine that drives the city. 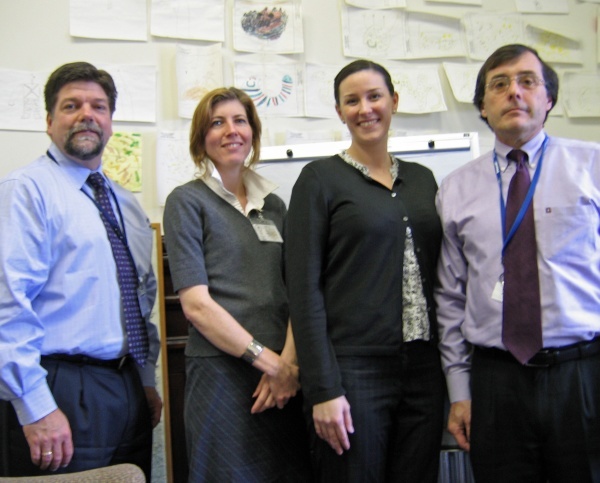 p.s., thanks to (from left to right) Community Development Director Brad Birge; Senior Planner Susan Barden; Principal Planner Jaclyn Hakes; and Planning Commission Chair Cliff Van Wagner -- and also to former city commissioner (and county planner) Lew Benton & to Mark Baker, president of City Center -- for taking the time to meet with me. 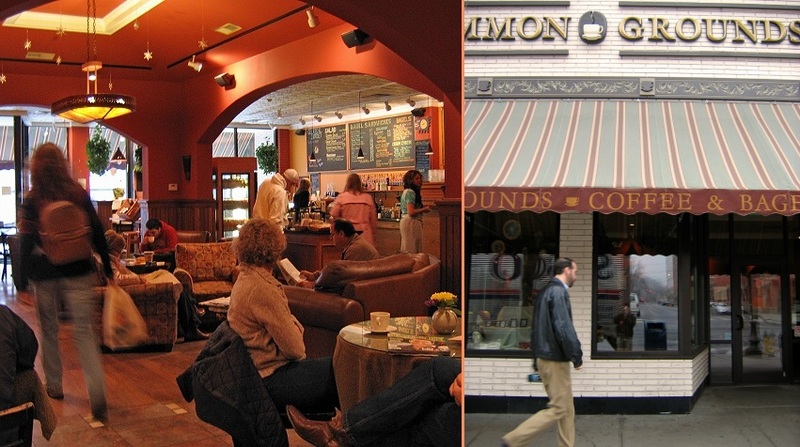 Finally, for those of you who care about coffee houses, if you're in Saratoga Springs you must stop at Uncommon Grounds -- it sure seemed like the hub of morning activity downtown. Given the coffee, it's understandable why. Main Street Mill: "The Perfect Trifecta"
A Harbor You Can Sail Into"